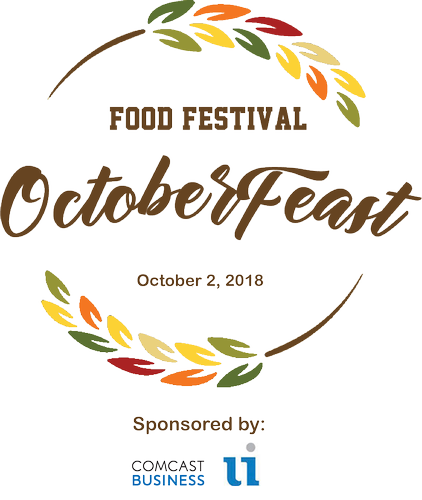 ​OctoberFeast is a tasting-tour of River North showcasing River North restaurants. You will start and end your journey with a group of 25-30 people. Participating venues provide their specialty food items in tasting portion, along with a red or white wine for event participants to enjoy. The event continues to grow each year as the River North Business Association’s signature event with over 300 participants expected this year. Please note: This event is rain or shine and does involve walking to the restaurants. Registration 5-6 PM, Enjoy your first taste and a beverage at Joy District! 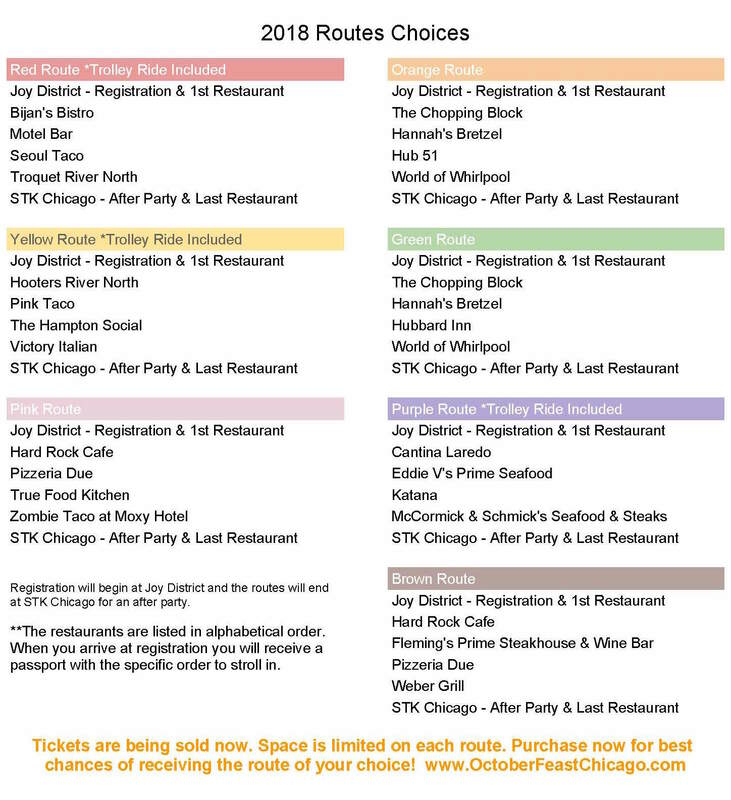 Tickets include all food and beverage at registration, all restaurants on your route, and the after party! *By completing your registration and submitting payment you agree that the event for which you purchase tickets is a public event, that your appearance and actions inside and outside the venue where the event occurs are public in nature, and that you have no expectation of privacy with regard to your actions or conduct at the event. You grant permission to the Event Provider(s) to utilize your name, image, likeness, acts, poses, plays, appearance, movements, and statements in any live or recorded audio, video, or photographic display or other transmission, exhibition, publication or reproduction made of, or at, the event (regardless of whether before, during or after play or performance) for any purpose, in any manner, in any medium or context now known or hereafter developed, without further authorization from, or compensation to, you or anyone acting on your behalf.